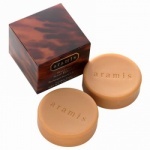 Aramis Classic For Men After Shaves, Hair Care and Male Grooming. Created in 1966 Aramis for Men was a leader of its type and became one of the definitive woody chypre fragrances for men. Aramis for Men has always been a popular male fragrance and was a trailblazer in terms of male fragrances when it was initially released. Aramis combines its characteristic chypre heart with distinctively male tones of leather and amber, for a virile and masculine fragrance. This combination of notes, in particular the addition of leather, make it a unique fragrance in today's market due to the modern trend for clean, marine fragrances and aftershaves for men. Aramis is a classic fragrance that is distinctly masculine, authoritative, warm and provocative, with citrus tones and warm woods. Aramis is a classic aftershave that is distinctly masculine, authoritative, warm and provocative, with citrus tones and warm woods. An intensive "reactivating" 24 hr Antiperspirant Stick, Aramis provides continuous long-term odour and wetness protection with an invigorating and masculine scent. Aramis for Men 24hr High Performance Deodorant Stick is a body heat activated formula which will glide smoothly for maximum protection against odour. 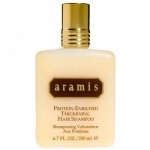 Aramis for Men Protein Enriched Thickening Hair Shampoo is protein enriched to help improve texture and give body to thinning hair. 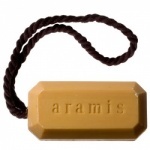 Aramis for Men Shaving Soap is a richly lathering and exceptionally long-lasting shave soap that provides a traditional, luxurious, barber shop shave.